Isn’t he gorgeous? When I saw his picture I knew he would be the first cat to be posted on my blog. Ladies and gentleman, may I introduce you to Cedric. Cedric is described as a male roughly 1 – 1.5 years of age. 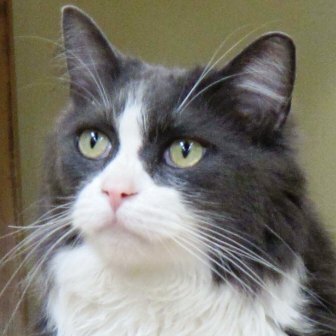 He requires a home where he is the only cat (teens are okay) as he needs a predictable, relaxed home. If you would like more information on Cedric or would like to see the many other cats that are looking for their furever homes, please visit www.meowfoundation.com. Cedric is located in Calgary, Alberta, Canada. This entry was posted in Calgary, Cat of the Day and tagged adoption, alberta, animal adoption, animal rescue, calgary, rescue by Raquel. Bookmark the permalink.